faytech responds to the demand of more and more powerful systems by unveiling its new fay-002 Intel® E3800 series mainboard. The new fay-002 series follows highest industrial PC standards and provides stable and exceptional performance. Equipped with Intel® Dualcore N2807 or Quadcore J1900 Processors based on Intel´s Silvermont™ architecture, they deliver respectively 2x 1.58 GHz and 4x 2 Ghz base speed which significantly improves the performance of any new Touch PC provided with them. The new Intel HD graphics chip with LVDS, Display port and VGA-Out adds further strong graphic performance, all in a fanless design! With USB 3.0 support and the support of up to 8GByte RAM the new fay-002 sets standards in versatility once again. Fanless, with such a small footprint, there is no other industrial PC-mainboard in the market offering so many connectors and options at faytech´s worldwide renowned unbeatable price/quality ratio: 2x Mini-PCIe, 1x PCIeX1, SPDIF, Mic-In/Line-Out, 2x2W amplifier, 2x GBit LAN, 7x USB 2.0, 4x RS232/RS485, PS2-Port, 2x S-ATA – in short – there should be no industrial application where this mainboard shall not be suitable for. 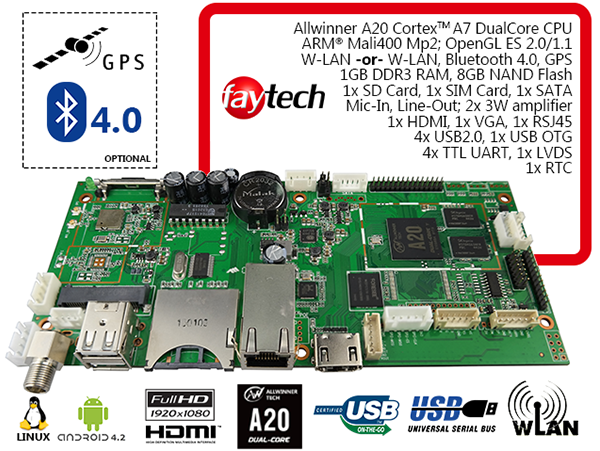 Take your time and design your product around faytech´s new fay-002 series-mainboard. It is now available for distribution and projects, will be integrated in more and more faytech products 2015 and most important – the fay-002 series will be available in production until 2021! fay-003 series Mainboard based on Intel´s i5-5200u CPUFor whom the Celeron J1900 QuadCore CPU is not powerful enough they can speed further up. 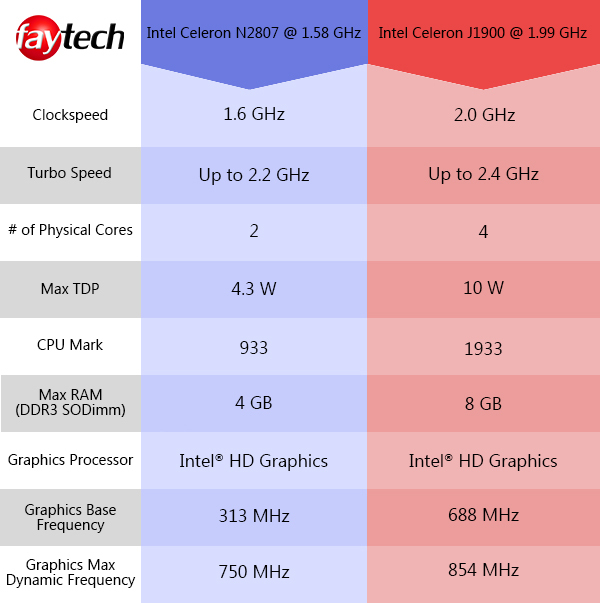 After extensive testing faytech just released first samples of its Intel i5-5200u Core based mainboard which will go to selected customers on a first-come-first-serve basis. Be fast to be one of the first testers of the strongest fanless PC-systems faytech has ever built. The i5-5200u processor is now available for project customers and will be available for faytech´s standard product portfolio in the second half of 2015.